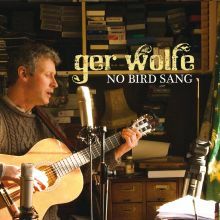 As The Irish Times commented in a recent review, “Ger Wolfe has earned the respect and devotion of his peers”, and to an ever-increasing audience is one of our most unique contemporary singer-songwriters. He is currently celebrating the release of his seventh album “I Have Been Loved”. Along with fellow musician Martin Leahy and a great band Ger has produced a stunning collection of songs that showcase a man who has served his time well to his chosen craft. Top Irish music magazine ‘Hot Press’, in a rave review, praises Ger for “…creating understated but carefully crafted vignettes, exquisitely performed, arranged and recorded…sublime”. Sounding glorious, the album was mixed in Los Angeles by Ryan Freeland, the three-time Grammy award winning engineer whose credits include Bonnie Raitt, Ray La Montaigne, Carolina Chocolate Drops and Aimee Mann. Ryan Freeland’s involvement in the project from the start ensured a quality of sound that is rarely heard. Hot Press again-“It’s difficult to pick out highlights; such is the even quality of the tunes, not to mention the stellar playing from a large cast”. Beautifully written songs, such as the title track- “I Have Been Loved” and the soulful single “When I was Hungry” stand alongside previous work like “The Curra Road”, “Standing in Doorways” and “The Lark of Mayfield”. Those familiar with and those yet-to-be pleasantly surprised listeners will enjoy these songs for a long time to come.